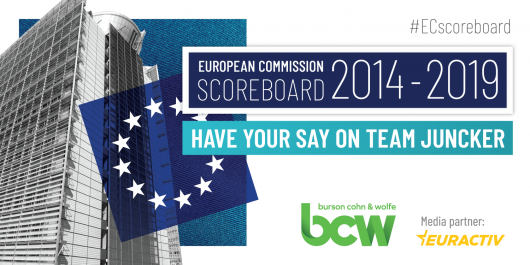 The results of the European Commission Scoreboard Survey will be unveiled by Burson Cohn & Wolfe (BCW) and EURACTIV on 19 February. The presentation will reveal how respondents rated the performance of each Commissioner in Jean-Claude Juncker's team, their choice to be the next Commission President, and which policy areas they highlighted as priorities for the next Commission. Nearly 1,800 stakeholders from Brussels and beyond took part in the survey, which ran from 9 October to 3 December 2018.